When you're in the market for any type of Kendall garage door repair, we have you covered. We've been your friendly hometown repair and service company for years, and have no plans on changing that anytime soon. It doesn't matter how big or small the job might be because we can handle everything from simple track issues to serious replacements and new installations. Whether you need a new garage door package or just a few minor repairs, we are the company that you need to call. You can replace one thing or the whole system, and we'll get the job done right the first time, every time. DIY garage door repairs aren't a good idea for anyone. As you can see, our Kendall garage door repair services can help you with all kinds of different needs, no matter what you are looking for. We also offer same day and emergency services, for those times when you have a serious issue that needs resolved immediately. Did the cable snap? Does the overhead door move in a strange way? Don't let such issues give you a hard time! Rely on our team and same day service! Urgent problems are fixed at once by our company and we also guarantee thorough preventive service, opener troubleshooting and replacement, and spring adjustment. Our goal has never been to be the biggest, but just to be the best. We love the friendly nature of this suburban Miami town, which is why we choose to work here instead of focusing our efforts on becoming the biggest or best in the city. We just like to provide great service to great people, and that's exactly what we do. Whatever your needs might be, feel free to get in touch with us to discuss them at any time. 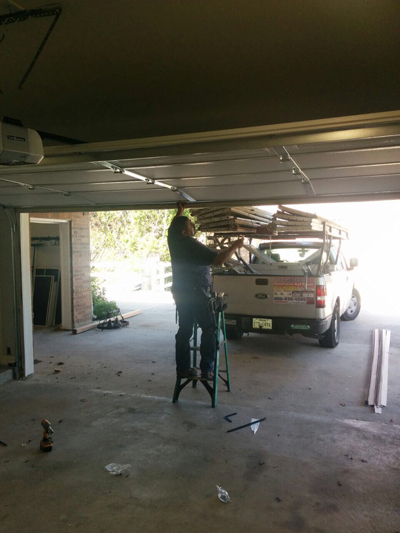 We're the best garage door repair Kendall has to offer and we're waiting to show you just what we can do.